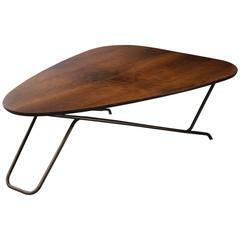 Coffee table in walnut, steel and plastic laminate with folding leaves. Designed by Greta Magnusson Grossman for Glenn of California, Los Angeles, 1952. Three-seat sofa in white upholstery with tapered brass legs. 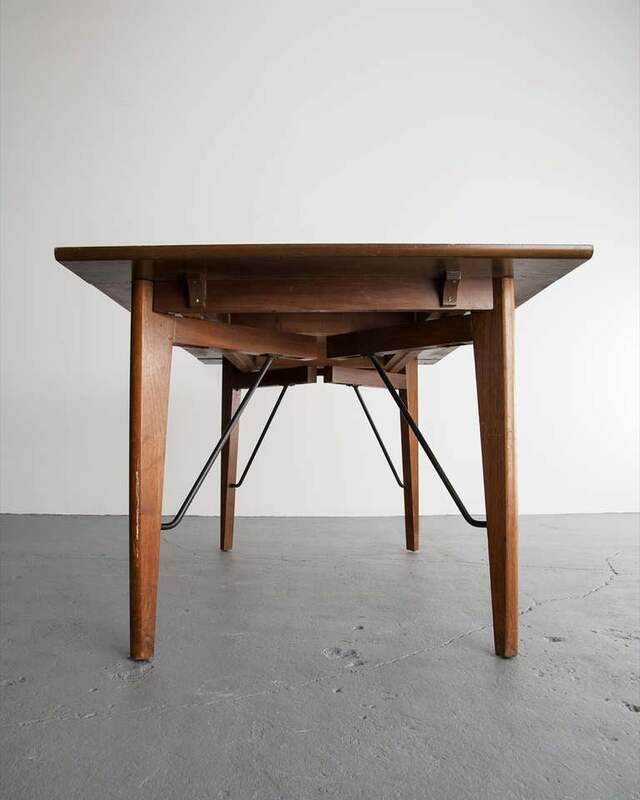 Designed by Greta Magnusson Grossman for Martin Brattrud as a part of the "Wilshire Group," Los Angeles, CA, circa 1952. 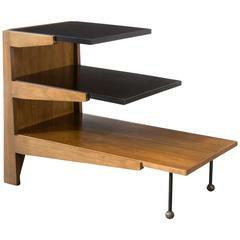 Rare three-tier side table in walnut and black Thermoset plastic with iron legs. 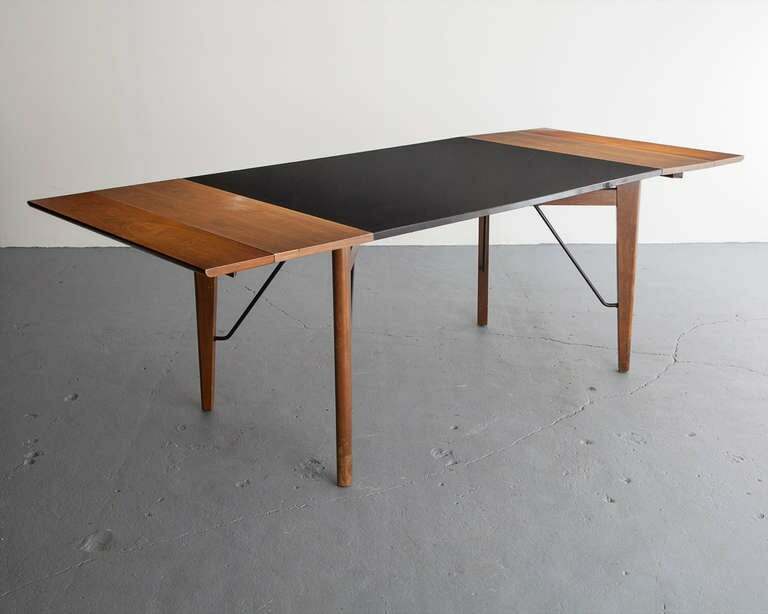 Designed by Greta Magnusson Grossman for Glenn of California, Los Angeles, CA, circa 1952. 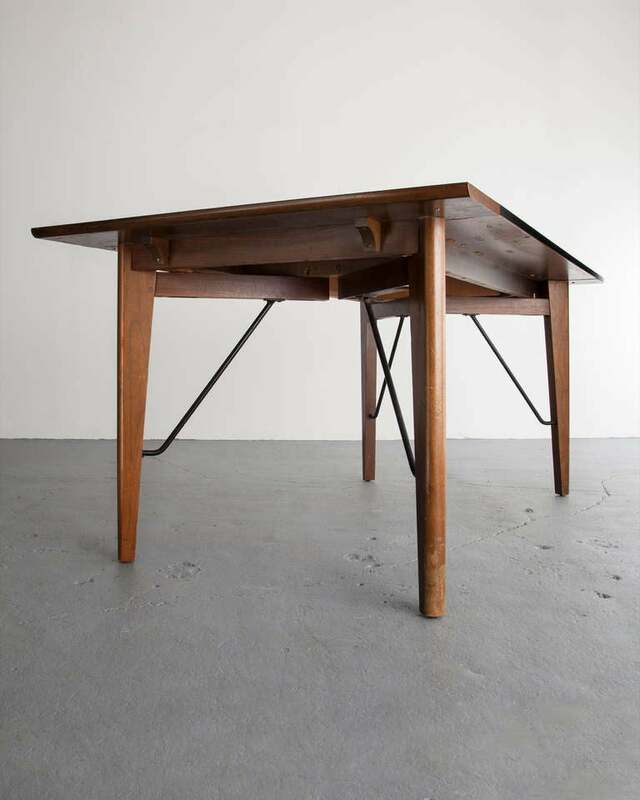 Dining or writing table by Greta Grossman for Glenn California, 1952. 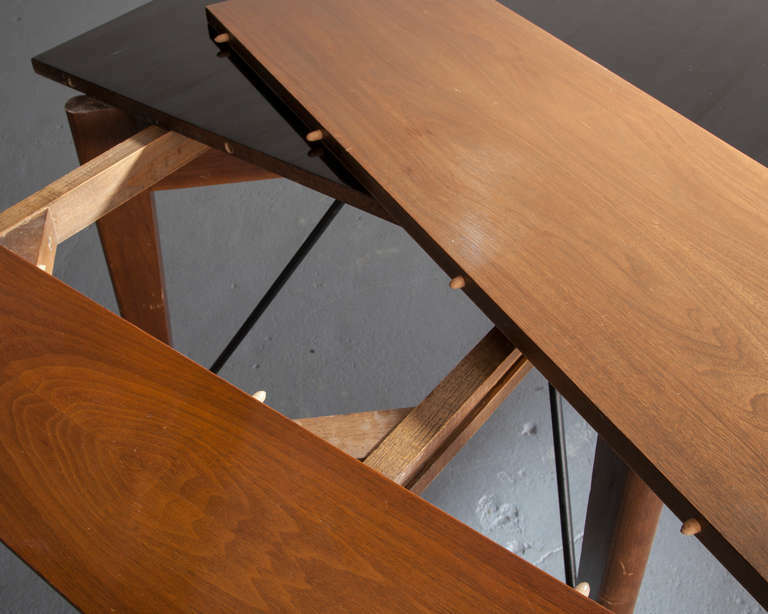 This table is in very good original condition. 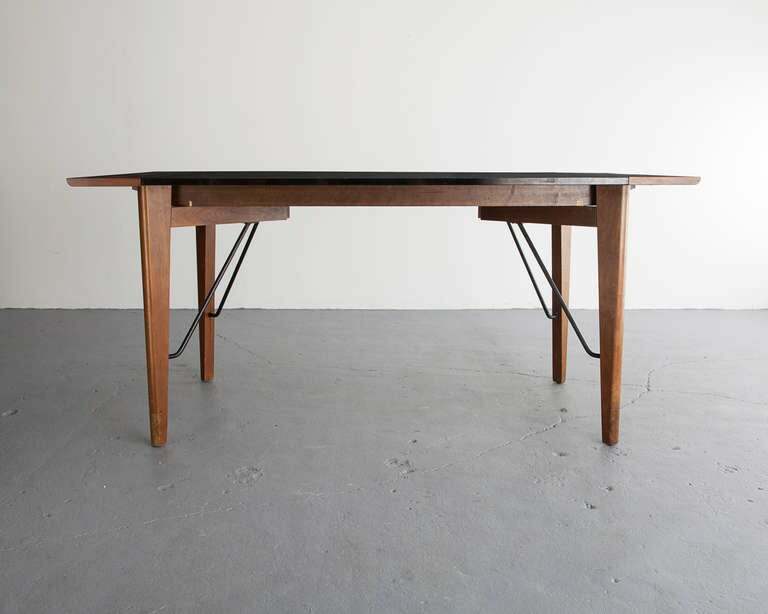 This table extends to 85.63" when both leaves are in use. 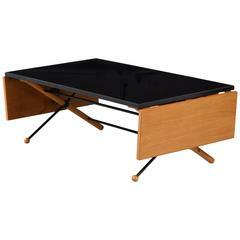 Greta Grossman coffee table for Glenn of California. 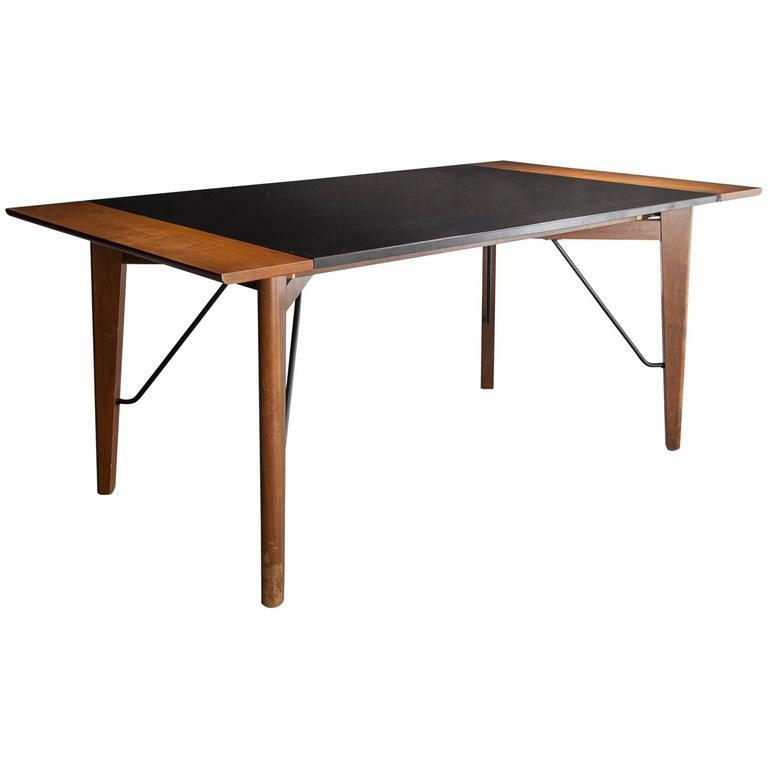 Walnut with black laminate expandable dining table including two leaves. Measures: Each leaf is 20 W. Total length 85" with both leaves.